Price includes two-day rental and disposal of up to 1.5 tons. 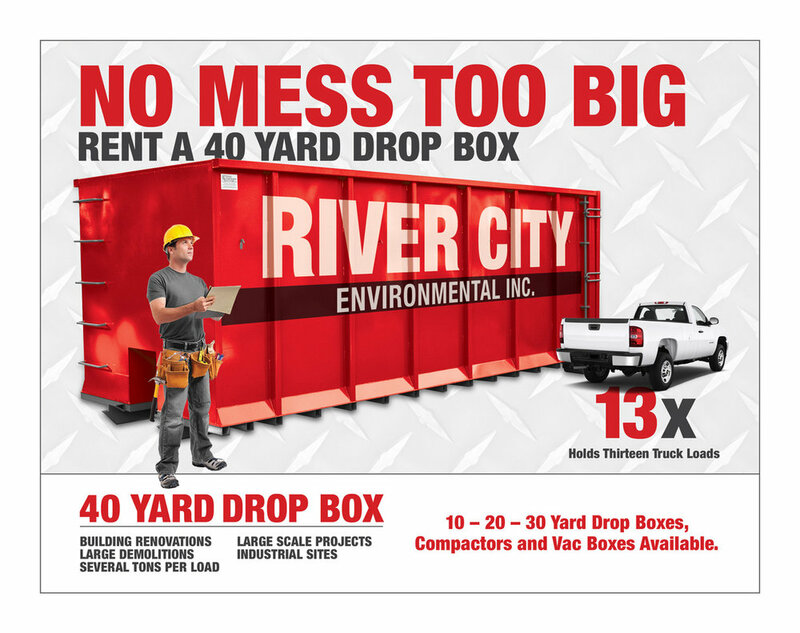 River City offers same day Drop Box / Roll Off service for calls received by noon for residential customers in Portland. Please call us for drop box rental rates. For commercial and industrial customers, call us for details. For all of your recycling needs, we deliver several sizes of drop boxes and back boxes to commercial, industrial and residential locations. River City works closely with businesses, schools and residential customers to minimize waste, maximize recycling and work toward sustainability. We recycle drop box contents. Need rock, soil or fill delivered? Contact us for drop box rates! A 10 yard drop box is equal to approximately three (3) standard pickup trucks filled level across the top of the bed.